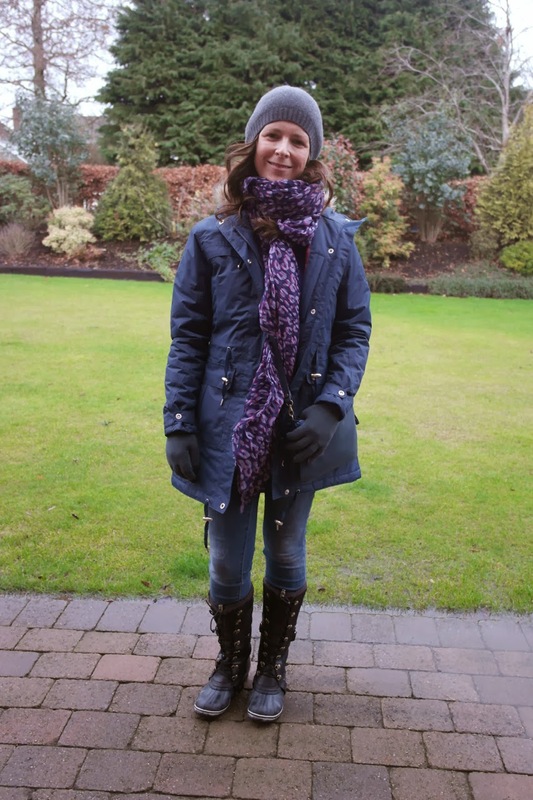 I've had so many emails this winter from readers asking about warm, weather-proof, comfortable boots for the school run. Lots of you walk the kids to school and while it's become easier in recent years to find good coat options (bum-covering with hoods! ), reliable boots are a bit harder to come by. 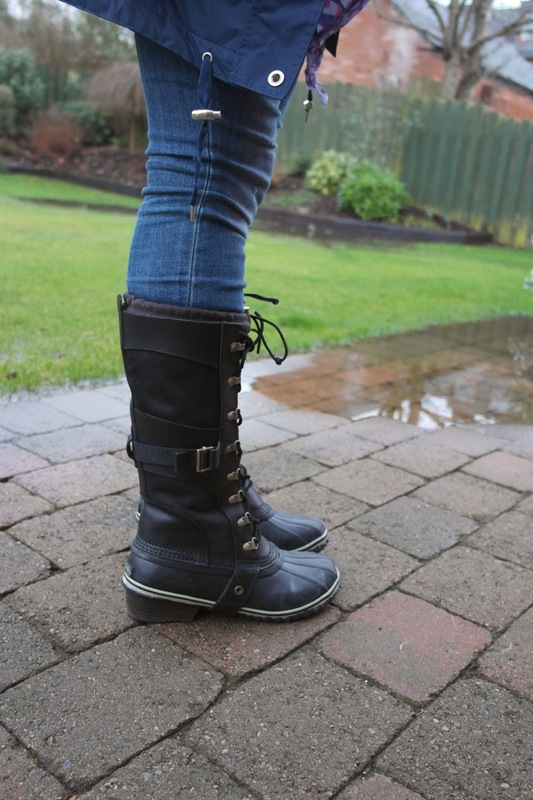 So I spoke to a few different brands about featuring some boots on the blog but when I saw Sue in this post, I was won over by how stylish hers looked so I took up Sorel Footwear's offer to review one of their range of all weather boots. 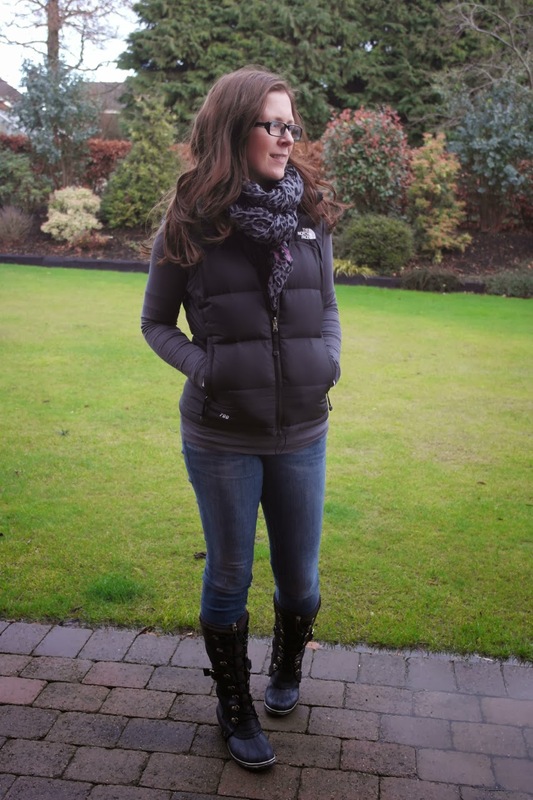 I'm loving the mix of utility with style...and I think it's a great look for the school run. I'll hold my hands up here and admit that these are pricy - way pricier than most of the things I'd normally recommend on this blog but this is a quality over quantity. When it comes to weather related clothing, it's a false economy to buy anything cheap. 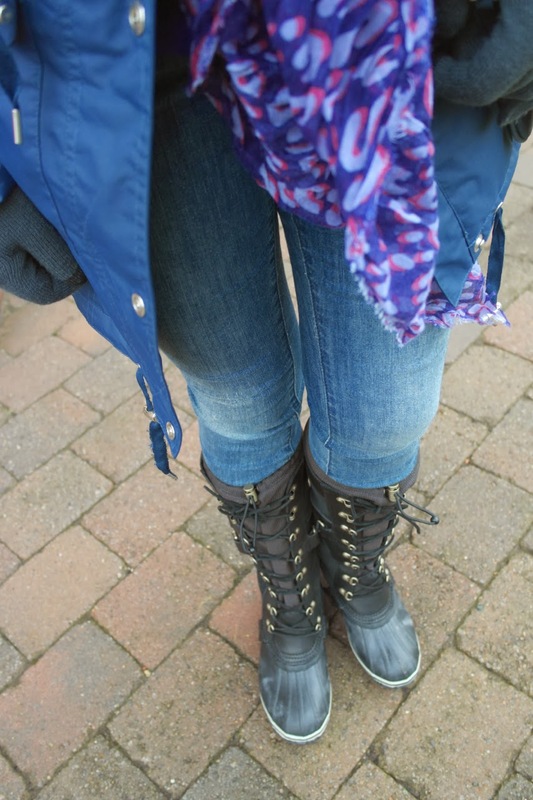 These boots are a lifetime purchase - I honestly think they'll last forever. And the beauty of them is that they're not just boots for snow and ice because let's face it, who really needs snow boots for the week of snow we get here on average? These boots are proper bad weather boots - ideal for cold, windy and wet days - so about 4 months of the year here I reckon? Oh and they're on sale right now - this is the best time of year to buy this kind of footwear! Comfort wise, they're amazing. The first day they arrived, I wore them for 6 hours straight on 2 school runs and a walk to the shops. They are toasty warm too. Size-wise, they come up very slightly big. I have the US 8.5, which is equivalent to a UK 6.5. I wear a warm walking sock with them and they fit perfectly. With a thinner sock, I could have gotten away with a 6. I'm inbetween sizes and always tend to the larger size as I hate my shoes to feel tight. For going out on the school run, I threw over my other Target Dry coat - the Emily lightweight parka as I just needed to be waterproof, not any warmer. 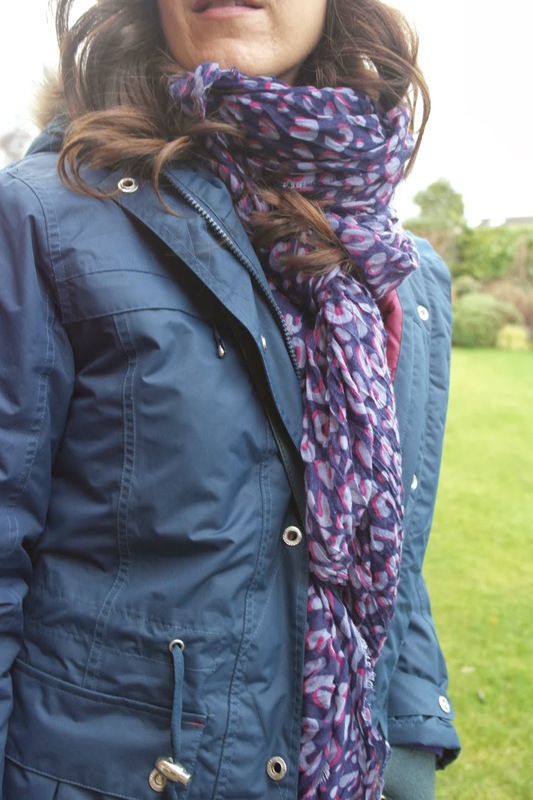 It's a good way to get more life out of your Emily if you have one already...just layer it with a fleece or a down gilet to save you buying a heavier coat. The verdict is that my wellies have been relegated and I honestly can't see me wearing anything else while this current wet spell lingers. I also find myself willing a bit of snow to come along to try them out in it! OK - I'm off on yet another rain-soaked drop-off/pick-up. Have a great weekend - I'm doing something really exciting with the choir on Saturday...will fill you in on the next post with hopefully a video! Ooh those are super cool Avril - they have a proper military vibe about them. They don't even look like snow boots so you can wear them whenever wherever. And I bet you are really glad for them and standing on a sports field will never be as cold as again (for your feet at least). Hi Avril, I am a newbie to blogging, Bestfriendstyle.com really enjoy your posts. I have had a pair of Sorel boots for about a year, expensive yes, worth it absolutely. 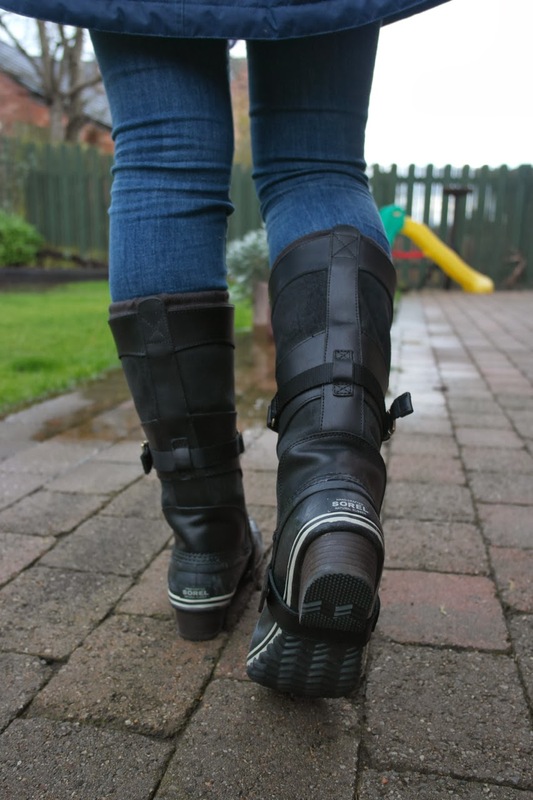 Great all round boot, warm, comfortable, and fashionable, perfect package. Your a stylish & practical fashionista Avril! They look really well. 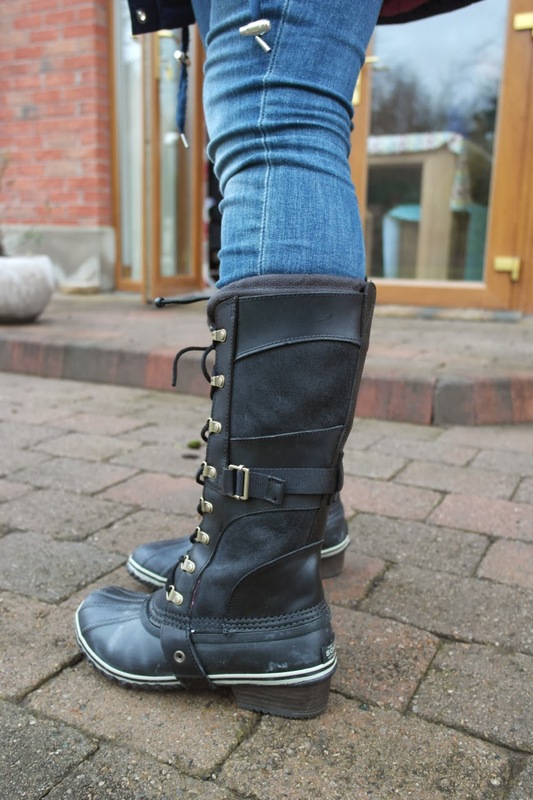 I can't seem to find decent cosy all weather boots at the moment so I'll have to check these out! This is the best looking 'fit for purpose' pair of boots EVER. Absolutely fantastic Avril!